In March 2017, at the 33rd SQA Annual Meeting & Quality College, the SQA Historical Committee conducted interviews with some of the Society's founding members. We will be featuring these interviews in each issue of Quality Matters and they will be added to this page. Stay tuned! Stephanie has been in the QA field for over 30 years and has served as the President of the North Carolina Regional Chapter and the Pacific Regional Chapter of SQA. Moira Bandoli is a long-serving SQA member, volunteering on many committees and specialty sections over the years and has served on the Board of Directors. Stu has been in the EPA regulated research throughout his career. He has been an SQA member since 1997 and is currently active on the board of the Rocky Mountain Regional Chapter. Rita Hattemer-Apostel has been a member of SQA since 2000 and has helped to expand the GCP focus of SQA trainings. Rita was Editor-in-Chief of the Quality Assurance Journal and President of the Swiss Professional Association of Quality Assurance. 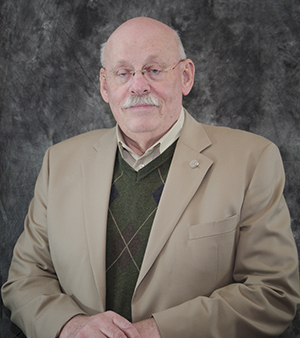 Jim is a veteran SQA member and Past-President. Cat is a veteran SQA member, Past-President and Past-Chair of the Board of Publications. Ralph has been active in SQA since it's QA Roundtable days and had a lot to share with us. He is a past-President and volunteer extraordinaire, and our Annual Meetings wouldn't be the same without his signature wit and friendly smile! Richie Siconolfi is a Regulated Systems Compliance Leader at Procter & Gamble and a past SQA President and founding member of the precursor to SQA, the QA Roundtable. Recently, he has been hard at work coordinating the Special Symposium to be held in conjunction with Quality College. Kathryn Hackett Fields is a consultant with QualiStat, Inc. and long-time SQA member. She is currently the Chair-Elect for the Council for Professional Registration. Colin Brown is recently retired from his job as Head of Regulatory Compliance at Charles River Laboratories in Edinburgh, UK. He is a longtime member of SQA and plays in The Deviations, the SQA band.